The island is a protected National Park, with just one exclusive resort, 40 rooms and suites, and 24 pristine sandy beaches. 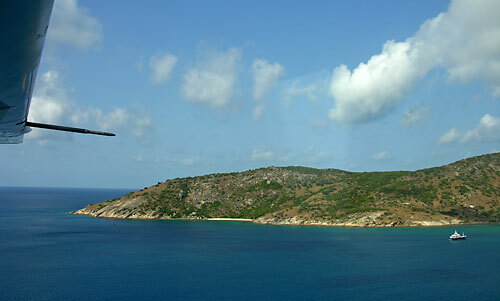 Nearby are three smaller islands - Palfrey, South and Bird, which together with Lizard, form the Lizard Island Group. Their well-developed fringing reef encircles a 10 metre deep Blue Lagoon which invites fantastic snorkelling exploration of this pristine coral. Lizard Island is also right on the doorstep of the world famous Cod Hole and many other brilliant dive sites of the northern Great Barrier Reef, making it a very attractive destination for the experienced diver. Visitors to Lizard Island choose Lizard Island for many different reasons including remoteness, wilderness, unspoilt beauty, luxury, fishing, amazing reefs, diverse and unique coral assemblages and a safe anchorage. Access to the Lizard Island Resort and its facilities are for resort guests only, which can be reached by air from Cairns Airport. This 60 minute flight will take you over spectacular views of the Great Barrier Reef and the coast. Operated by Hinterland Aviation, flights depart daily. Apart from accessing the island for resort guests, visiting the island remains fairly restricted. 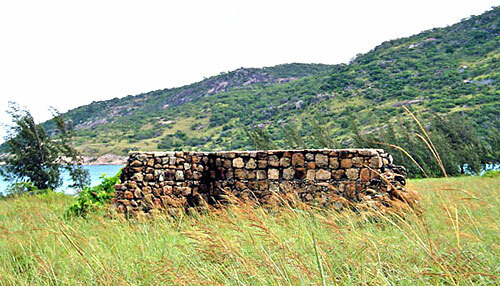 Lizard Island was known as Dyiigurra to the Dingaal Aboriginal people and was regarded as a sacred place. It was used by the people for the initiation of young males and for the harvesting of shellfish, turtles, dugongs and fish. The name Lizard Island was given to it by Captain Cook when he passed it on 12 August 1770. He commented, "The only land Animals we saw here were Lizards, and these seem'd to be pretty Plenty, which occasioned my naming the Island Lizard Island". Cook climbed the island's summit to find a way through the maze of reefs which has since been called ‘Cook's Look’. 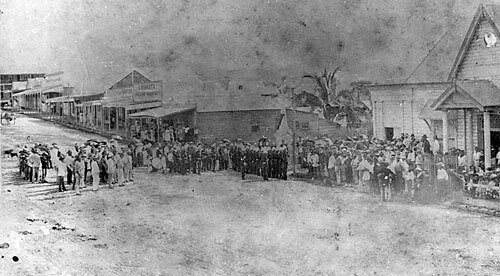 Mary Watson (born 17 January 1860 – 1881) migrated to Queensland with her family in 1877. Having accepted a position as a governess with an hotelier's family, at eighteen Mary travelled from Maryborough to the isolated port of Cooktown, where she met and married bêche de mer fisherman Robert F. Watson in May 1880. Watson took her with him to set up a fishing station on Lizard Island, then otherwise uninhabited. In September 1880, Watson left his wife and son behind with two Chinese servants known as Ah Sam and Ah Leung, while he and his partner Percy Fuller made an extended fishing trip in their luggers. The islands of the Lizard Island group are continental—part of the Australian mainland—and became islands only 9000 years ago with the last sea level rise. The pink-grey granite rocks are much older, having formed deep below the earth's surface about 300 million years ago. The sand on the islands’ beaches is made of decomposed granite with the addition of coral and shell fragments. Granite decomposes to an infertile, sandy soil which drains rapidly. 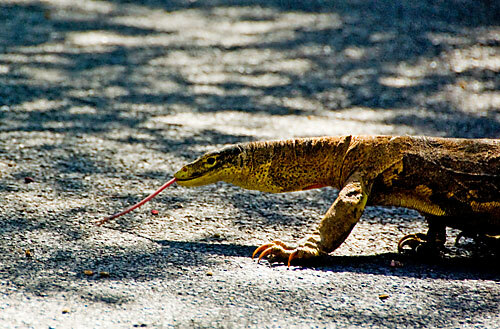 The island's best-known animal is a lizard—the yellow-spotted monitor Varanus panoptes. Most easily seen around the resort area on Lizard Island, it ranges all over the islands and preys on large insects as well as smaller lizards and frogs. More than 40 species of birds inhabit the island group which are important seabird nesting sites. Many species roost and nest on beaches and in the islands’ low vegetation. Commonly-seen seabirds include the magnificent white-bellied sea-eagle Haliaeetus leucogaster, osprey Pandion cristatus and many species of terns. Umbrella trees showing off their brilliant red flowers. The island is surrounded by fringing reef, with over 350 species of hard corals that form the framework to the intricate and complex reef communities that surround the islands. The almost unbroken barrier formed by the Ribbon Reefs is made up of ten distinct reefs, identified simply as Ribbon Reef #1 through to Ribbon Reef #10, from south to north. 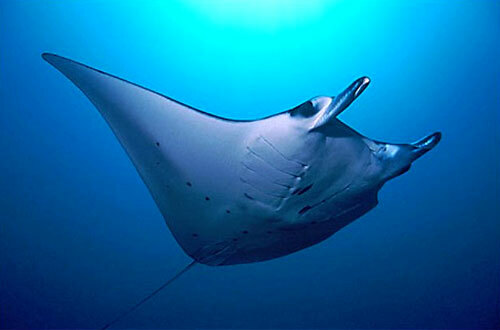 The Ribbon Reefs offer a huge range of spectacular dive sites that are visited by fewer commercial operators than locations on the Outer Barrier Reef closer to Cairns and POrt Douglas, and as such are in pristine condition. Please Note: Lizard Island Resort sustained significant damage as Cyclone Ita passed directly over the island in April 2014 and is currently being restored. 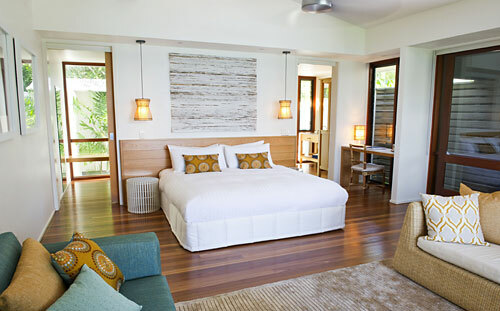 Lizard Island is scheduled for a soft opening on 1 March 2015, with full facilities and services to open on 1 April, 2015. 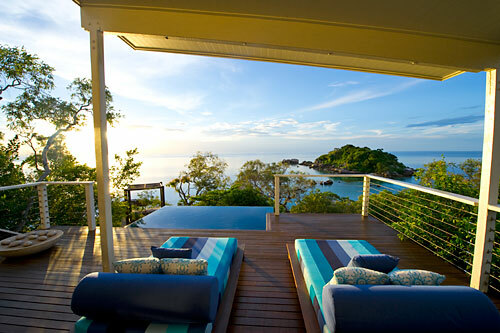 Located on the island's north western side is the small luxury Lizard Island Resort. Constantly ranked as one of the top hotels of the world, this 40 villa resort focuses on providing the ultimate in relaxation, seclusion and exceptional service. Featuring a choice of stunning private villas, suites, or the pavilion; each of the rooms are designed to blend seamlessly with the outdoors. Dining is one of Lizard Island's many pleasures, and you can enjoy 5 star dining from dawn to dusk at Ospreys Restaurant. Simple and relaxed, the idyllic setting takes full advantage of the views along the seascape for that special dining experience on Lizard Island. The menu, which changes daily, is fresh and creative, showcasing the finest local produce and freshest seafood. Your tariff includes gourmet meals, unlimited non alcoholic beverages, selected fine Australian and New Zealand Wines, beer, spirits and Champagne during meal periods at Osprey's Restaurant and Bar. There are plenty of watersport activities that take advantage of the island's location on the Great Barrier Reef, including diving trips to the nearby Cod Hole where you'll come face to face with a massive, yet curious Potato Cod swimming right up to. Snorkellers are rewarded for little effort with coral gardens, brightly coloured tropical fish and giant clams just moments from the island's beaches. 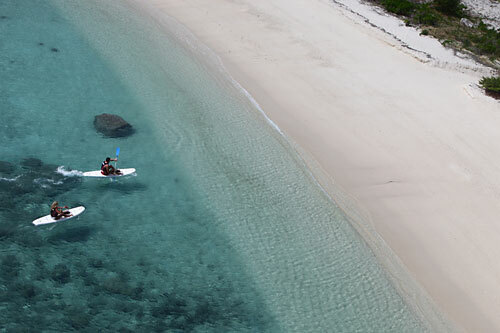 Discover secluded, pristine beaches by foot or by motorised dinghy. Fishing enthusiasts can charter the "Fascination" for a day of exhilarating game fishing. Try bushwalking, sailing, or take a glass bottom boat trip. Exceptional attention to detail has been placed in all aspects of the resort, from the luxurious hotel rooms, to the fine dining and premium resort faciltiies. 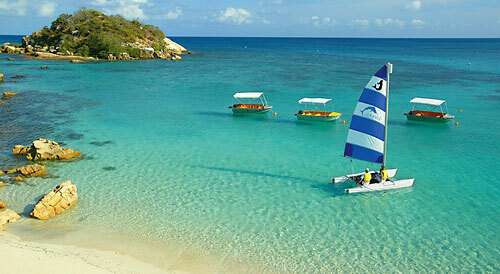 Secluded picnics on private beaches and indulgent spa treatments complete the Lizard Island experience. 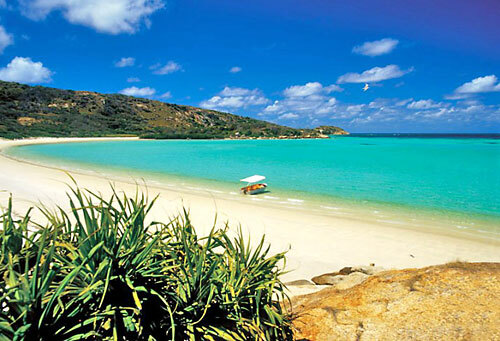 Lizard Island is a special piece of paradise reserved only for a fortunate few, there are no day trippers here. Children 12 years and under are not catered for. Your rate includes all gourmet meals, selected alcoholic and non-alcoholic beverages. 40 rooms all featuring air conditioning, bath robes, hairdryer, direct dial ISD/ STD telephone, internet access, ceiling fans, tea & coffee making facilities, mini bar, CD player, iron & ironing board, laundry service, beach towels & umbrellas, evening turndown service. 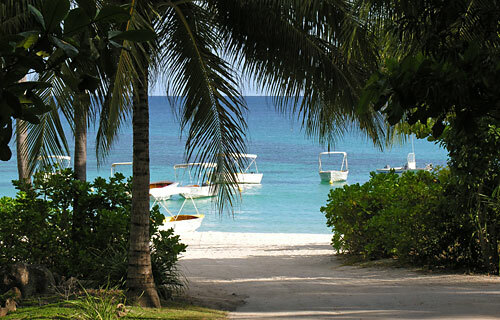 Anchor Bay Rooms: Located in a tropical garden setting with easy access to Anchor Bay and the beach. Anchor Bay Rooms have a private balcony with a hammock. Interiors are compact but comfortable and include a Bose sound system with CD player and iPod connectivity. Bedding includes a king-size bed (max 2 people) or two double beds (max 3 people). Anchor Bay Family rooms with two separate sleeping areas are also available. Bedding includes a king-size bed and a double sofa bed (max 4 people). Anchor Bay Suites: Set in a broad sweeping arc along Anchor Bay, with easy access to the main Lodge, Anchor Bay Suites offer captivating sea views and each has a pathway leading directly to the beach. Seamlessly blending indoors and out in an elegant and spacious open plan design, a large verandah with daybed is one of the many comforts. Anchor Bay Suites also feature a Bose sound system with a CD player and iPod connectivity. Bedding includes a king-size bed (max 2 people). One room is disable assisted but does not offer full disabled facilities. 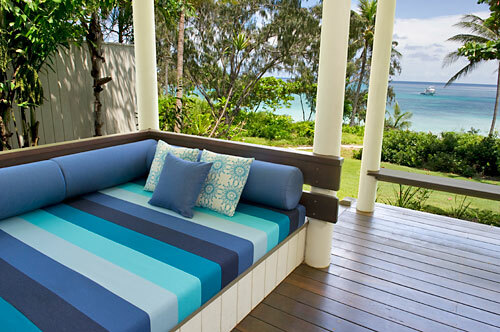 Spacious verandah with daybed. 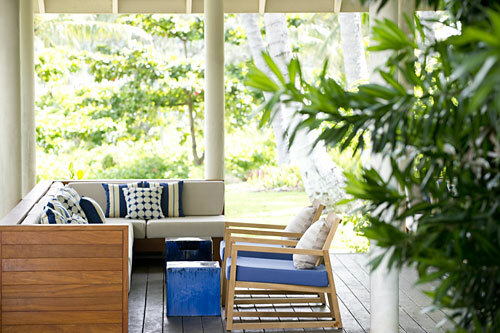 The Pavilion: Perched high above the Coral Sea and set on the point of Sunset Ridge, the Pavilion combines complete privacy with a spectacular 270 degree panorama of Anchor Bay, Osprey Island and Sunset Beach. An expansive decking area incorporates a private plunge pool, sun lounges and a daybed area inviting guests to relax and take in the stunning views. Leaving the balcony to stroll down a private path, guests will discover another secluded area where chairs and a table have been perfectly positioned to make the most of sea breezes and the gorgeous views. Sunset Wine & Cheese Cruise. French champagne, a spa gift of an aromatherapy burner and oil & two (2) treatments up to a maximum of 2 hours. (Please note that treatments on our menu cannot be shortened, please select a combination of treatments to utilise the 2 hours). 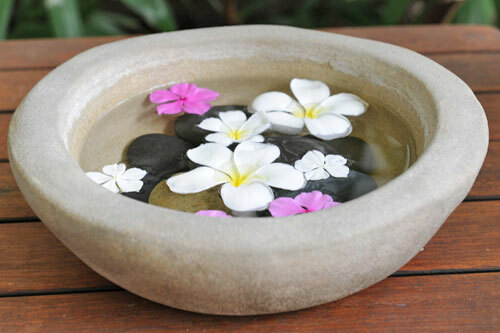 Treatment inclusions in the Spa Package are subject to change at the discretion of the resort. The Azure Spa has been awarded runner up as the best spa 'Australasia & South Pacific' in the revered Conde' Nast Traveller Readers' Spa Awards 2007. Spa packages are available for a stay of 2 nights and over. Reef trip including two certified dives. Also includes wetsuit and all equipment, soft drinks & light refreshments and lunch on the full-day trip. Alternatively, use the value towards a Private Charter vessel and guide to take you to rarely dived walls and pristine coral gardens. 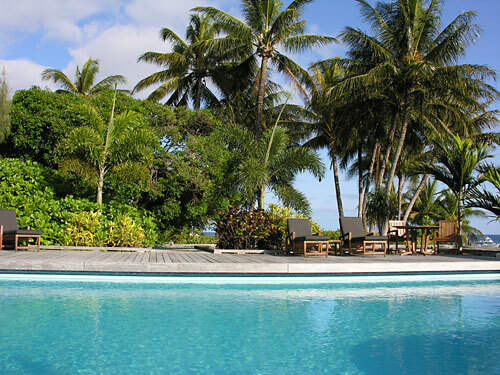 Dive packages are available for a stay of 3 nights and over. Lizard Island has been chosen as a Top 20 International Hideaways - Hotels and Resorts with 75 or fewer rooms in the 2012 Andrew Harper Readers' Choice Award. 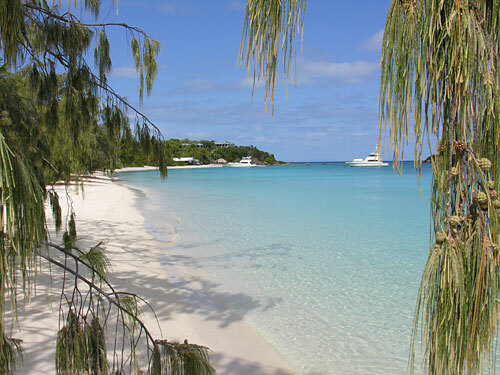 Lizard Island has been chosen as a Top 20 Beach Resort winner in Andrew Harper's Hideaway Report 2011. 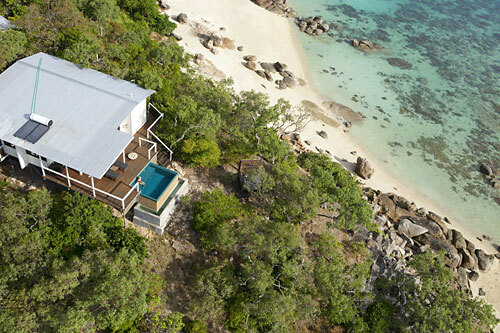 Lizard Island has ranked 3rd in Australian Traveller's top 10 luxury lodges in Australia list for 2011. 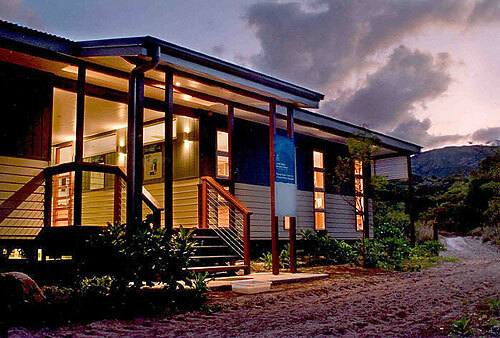 Lizard Island has ranked 8th in the Readers' Choice Award 2011 for best resorts in Oceania. Lizard Island features on Condé Nast Traveller’s Gold List for 2010 as only one of two Australian hotels named for Best Hotels for Leisure Facilities. 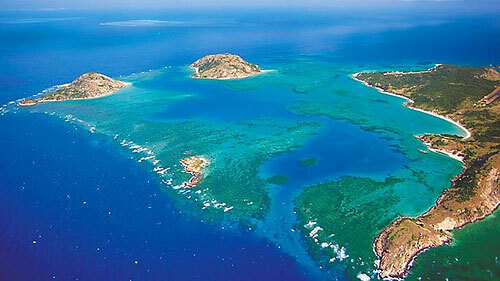 Lizard Island ranks 8th in the category 'Top 20 Resorts Oceania' in the US Condé Nast Traveler Readers' Choice Awards. Lizard Island is voted as the Top Hotel for Service in Australia, New Zealand and the South Pacific by Travel + Leisure readers. 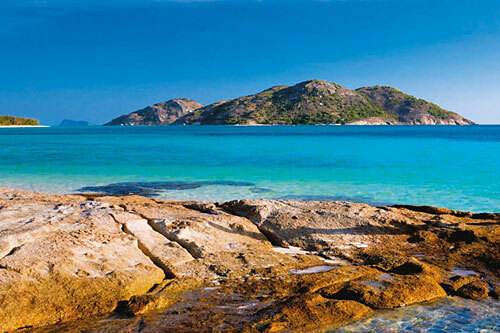 Lizard Island is named the Best Desert Island Escape by the Forbes Traveler 400, the premier list of deluxe hotels. 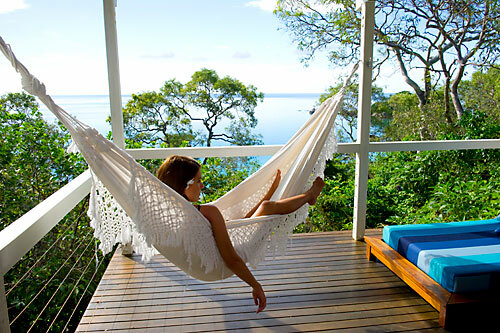 Andrew Harper's Hideaway Report ranks Lizard Island at sixth place in the Top 20 International Hideaways category and 15th in the Top 20 International Resorts category. Lizard Island is named as the Number One Hotel in Australia, New Zealand and South Pacific at the Travel + Leisure USA World’s Best Awards. In addition, Lizard Island is ranked at No. 24 on the Top 100 Hotels Overall list. Lizard Island is recognised in the Top 20 ‘Overseas Leisure Hotels’ category at the 2008 Condé Nast Traveller Awards in London. The Lizard Island Azure Spa, is runner up as the best Spa 'Australia & South Pacific' in the revered Condé Nast Traveller Readers' Spa Awards, 2007. A network of walking tracks, ranging from easy to very difficult, allows visitors to explore Lizard Island. Many of these tracks are linked and can be undertaken as longer walks. Leading off the road to the airstrip, a short steep track with rocky steps leads over a steep granite ridge between the resort and the Pandanus track. A lookout at the top of Chinamans Ridge provides views over Anchor and Watsons Bay. The track then continues down the other side of the ridge to link up with the Watson's Bay walk track. From the bottom of Chinaman's Ridge, turn left and follow the track towards Watson's Bay Beach. 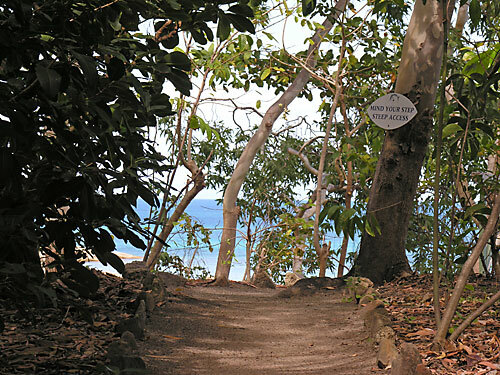 The track leads onto a boardwalk through the mangroves and then joins a sandy track which passes by the ruins of Watson's Cottage and on to the beach where it joins the Pandanus track. From Watsons Bay beach, follow Watsons Walk to the ruins of Watsons Cottage. The Pandanus track continues along a boardwalk through mangroves and then joins a rough track skirting a paperbark and pandanus swamp before arriving at the airstrip. Information about Aboriginal uses of plants and animals is presented along the way. From the end of the Pandanus track (where it joins the airstrip), walk 800 m to the end of the airstrip where a short, sandy track descends gently to the secluded Mangrove beach on the edge of Blue Lagoon. The walk provides picturesque views over Blue Lagoon towards Palfrey and South islands and Cape Flattery on the mainland. A sandy road from the western end of the airstrip passes through woodland and leads to the Lizard Island Research Station, where guided tours are available at certain times. Vehicles use the road so visitors must take care. From Watsons Bay beach, near the camping area a very steep, unformed track leads to the summit (359 m) at Cooks Look. 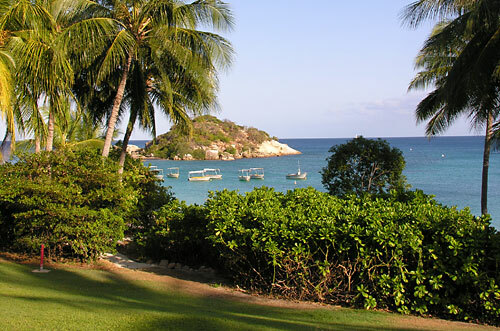 This lookout offers wide-ranging views over the surrounding reefs and island group. The track surface varies from decomposed granite to sloping granite slabs, with rough hewn steps in some places. This walk is suitable for very fit and experienced walkers only, due to the rough terrain, loose track surface, hot climate, steep slope and difficult access at the start of the track. Extreme care must be taken. There is an abundance of reef snorkelling in Anchor Bay, in front of the Resort, as well as at Sunset Beach and Watson’s Bay where large concentrations of giant clams can be viewed, both within short walking distance from the Resort. The waters surrounding Lizard Island boast some of the most exciting fishing in the world. The outer reef fishing grounds can be reached in 50 minutes. The fish caught in this area of the Great Barrier Reef include Mackerel, Tuna, Trevally, Mahi-mahi, Sailfish and even small Black Marlin at certain times of the year. Fishing tackle of the highest quality is provided. A short 15-minute boat ride takes you to the inner reef fishing grounds. This spectacular area is comprised of three reef systems, which are home to an amazing variety of fish including Mackerel, Queenfish, Trevally and other pelagic species. Some of the most exciting light tackle sports fishing can be enjoyed on Lizard Island. ‘Fascination III’ is available for both full and half-day charters, which can be tailored to suit your needs. Many of the fish caught are of superb eating quality and can be prepared by Lizard Island chefs. What a great way to end a magnificent day’s Great Barrier Reef fishing! From September to December each year Black Marlin, some weighing a massive 1,000 pounds or more, are caught here. In fact, due to the tag and release policy operating for the past ten years, your chances of catching a legendary ‘GRANDER’ in these waters are probably better than anywhere else on earth! Lizard Island is a continental island surrounded by fringing reef with easy access to the ribbon reefs of the Great Barrier Reef. The world renowned Cod Hole is just a 60 minute boat ride from Lizard Island. Purpose built dive vessel MV Serranidae can take you on a spectacular full day or half day of reef exploration. 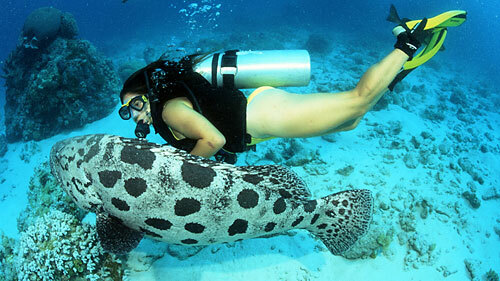 This very popular activity is a signature experience of Lizard Island. It allows you to access Lizard Island's secluded beaches, where you can spend hours exploring, snorkelling and enjoying the magnificent surroundings. Step on shore at Watson's Beach and visit the crumbling remains of the stone cottage where the tragic tale of Mary Watson began or visit Mermaid Cove with its turquoise water and many outcrops of coral. Take a freshly packed picnic hamper and enjoy the delights of discovering the island all to yourself. The Lizard Island Research Station is a coral reef research facility that is owned and operated by the Australian Museum. It enables cost-effective research and education about coral reefs by providing accommodation, boats, diving gear, laboratories and a seawater aquarium system to researchers and student groups. From research conducted at Lizard Island, more than 1,200 scientific publications have been produced by Australian and international researchers since the Station's inception in 1973. This valuable information is used by reef managers to conserve coral reefs, which are proving to be an increasingly vulnerable resource. Facilities at the Research Station include shared accommodation for up to 39 people in four simple, yet comfortable, self-contained houses in which visitors cook and clean up after themselves. A fleet of boats to enable access to the reefs of the Lizard Island Group and to more distant reefs, from the mainland coast to the outer barrier reefs. Diving equipment, including scuba tanks and air filling facilities. State-of-the-art seawater aquarium system enabling controlled experiments with living reef organisms. Laboratories with basic equipment that enable research samples to be processed to a stage suitable for transporting them to mainland or overseas laboratories for further analysis. Phone, fax and broadband internet access. Two couples each work for six months each year to maintain the Station and assist with all aspects of island life. Coral reefs are under threat worldwide: recent estimates are that 10% of reefs are already damaged beyond repair and another 70% are threatened. 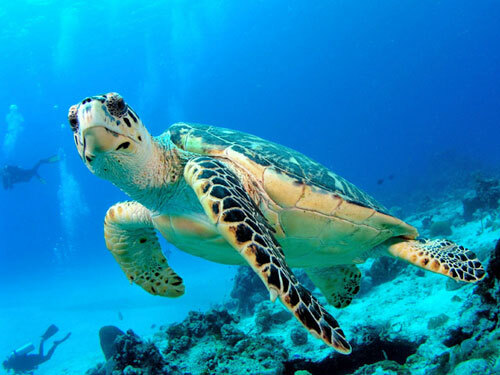 Australia is one of the few developed countries to have significant coral reef areas under its control, and the Great Barrier Reef is among the best managed in the world. Over the last three decades, Australia's capability has become pre-eminent in tropical marine science and coral reef management. This places Australia in a unique position to provide on-reef facilities for coral reef research and education to a world-wide customer base. Daintree Air Services is a specialist air charter company that can take you to some of the most remote parts of Australia. This is the perfect opportunity to get that once in a lifetime Lizard Island experience - in a day. Your special day begins with a complimentary hotel transfer to the Daintree Air Services terminal at the Cairns International Airport. Your low level scenic flight to Lizard Island will depart at 8am - all guests booked on this tour have a window seat to take full advantage of the scenery while flying low level along the World Heritage listed Rainforests and over the Great Barrier Reef Marine Park. Experience unique views of the world heritage listed wetlands of the lower section of Cape York Peninsula as well as exciting aerial views of Port Douglas, the Daintree Valley, Daintree River, Cape Tribulation, Bloomfield, Cooktown, the Endeavour River and the Silica sands of Cape Flattery, to name just a few. 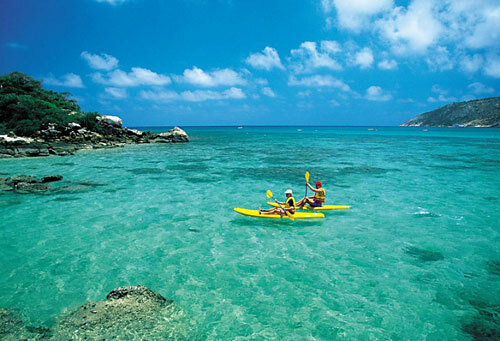 Once on Lizard Island you have a full six hours to explore this pristine national park. Guests booked on the Lizard Island Day Tour can choose to spend the day completely alone relaxing on a secluded beach, or enjoy the company of a tour guide and small group. The day is yours to do as you wish - snorkel the world famous Clam Garden, relax under the Casuarina trees at Watson's Bay, take a walk to the Blue Lagoon. There are also many bush walking tracks to places such as Cook's Look and Chinaman's Ridge. Your return flight to Cairns is again a low level scenic flight, this time via the Outer Great Barrier Reef. You will see many Sand Cays, Coral Cay Islands, Endeavour Reef, Cairns Reef, Agincourt Reef, Batt Reef and, of course, the Outer Barrier Reef. This tour is open to people of all ages. The reef comes to within thirty meters of the beach, therefore no climbing on and off boats and more importantly no crowds. INCLUDED: Return scenic flights to Lizard Island via the Great Barrier Reef and World Heritage Rainforest, hotel transfers, local guide, National and Marine Park permits and insurance, lunch, snacks, drinks, snorkel gear and safety gear. Mike Ball Dive has been internationally acclaimed as the premier Cod Hole service, showcasing the best of the Great Barrier Reef in comfort, and with all the latest dive services to maximise your experience. The Cod Hole is an Internationally Famous Dive destination and offers very exciting diving year round. Details: The 3 Night Fly/Dive Cod Hole expeditions begin with an incredible 250 kilometre low level reef flight over the Great Barrier Reef to Lizard Island. Your dive adventure begins on the Ribbon Reefs. This 55 mile chain of reefs from Lizard Island to Cooktown is the most prized dive region of Australia ’s Great Barrier Reef . This is where you can see more of the Great Barrier Reefs 1500 fish and 400 coral species than elsewhere. The currents that channel between the ribbon reefs attract large fish populations. 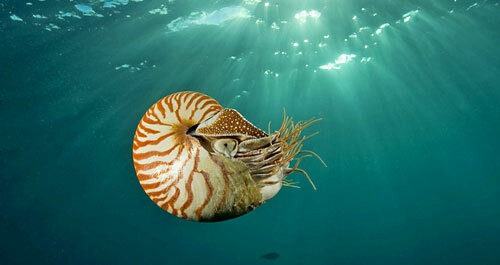 Marine life encounters range from pygmy seahorses to manta rays and whales. The Great Barrier Reef has 9 species of anemone fish, 43 species of butterfly fish, 1001 species of nudibranch, and 6 of the worlds 7 turtle species. One of the Great Barrier Reefs most amazing phenomenon's await you at the Cod Hole. Swim with, ‘small diver size’ or ‘giant fish size’ potato cod. Spend the dive amongst shallow sunlit coral gardens of acropora coral or venture deeper into the parallel gullies forming the front of the reef where huge Queensland groupers face into the current. Other Ribbon Reef highlights include Challenger Bay, Lighthouse Bommie & Acropolis, Pixie Pinnacle, Clam Beds & Andy's Postcard, Steve's Bommie, Flare Point and Joani's Joy. Embarks: Monday 7am - Mike Ball Office, 143 Lake St, Cairns. Transfer to Airport. Camping is permitted at Watsons Bay on the north-west side of Lizard Island. Camping is not permitted on any of the other islands in Lizard Island National Park. Camping permits are required and fees apply. Campers must be self-sufficient in food, water, shelter and first-aid equipment. No supplies are available on the island but visitors are welcome at the Marlin Bar (although it is not open every day). The camping area is situated just behind the beach in scenic Watsons Bay, adjacent to the day-use area and close to the network of walking tracks around the island. Some shade is offered by beachfront vegetation. You can access the site either on foot from the airstrip or by boat in Watsons Bay. Visitors arriving by plane must carry all their gear 1.2 km from the airstrip to the camping area. There are five camp sites in total. Facilities include a composting toilet, picnic tables and gas barbecue (burners only, no hot plates). Poles are also provided for erecting shelters for shade. Bore water can be obtained from the hand-pump located 250 m from the camping area. This hand pump may be unreliable at times. If it fails, water can be collected from a tap outside the Marlin Bar (approximately 40 minutes walk from the camping area). Bring water containers suitable for carrying water this distance and treat all water before drinking. Mobile phone coverage is not available on Lizard Island. Lizard Island Resort does not have a strict dress code but we would suggest relaxed, casual wear during the day and perhaps something a little more special for dinner. For ladies, relaxed evening wear and for men, collared shirts and long trousers and/or tailored shorts. Suitable footwear for the beach and Island walks is recommended. Lizard Island has a tropical climate, with an average year-round temperature of approximately 27 degrees Celsius (80 degrees Fahrenheit). 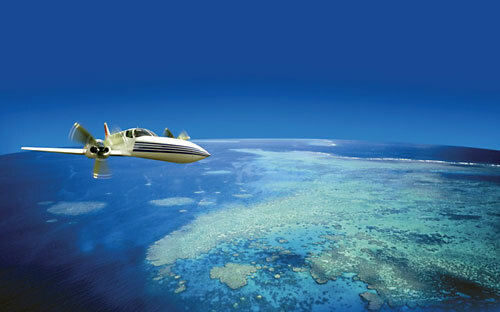 Air Connections — regular flights are available from all Australian capital cities to Lizard Island daily via Cairns. The flight between Cairns and Lizard Island is operated by Hinterland Aviation and takes approximately 60 minutes. Please note on the service from Cairns to Lizard Island passengers are restricted to one suitcase and one small carry-on item of hand luggage each. Soft suitcases are preferable. A limit of 32kg (maximum) eg. 28kg check-in luggage and 4kg carry-on applies (subject to loading restrictions).